UPFA Parliamentarian A.H.M. Fowzie has been appointed as the State Minister Of National Unity, Co-existence and Muslim Religious Affairs. 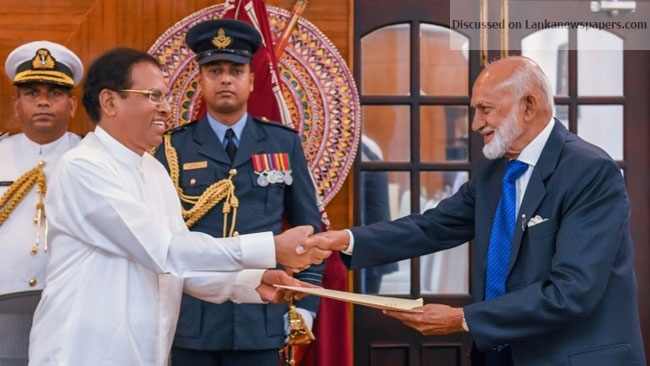 He was sworn in before President Maithripala Sirisena at the Presidential Secretariat this morning (3). Secretary to the President Mr. Udaya R. Senevirathne was also present on this occasion. Meanwhile a new Cabinet Minister and a Deputy Minister were also sworn in last evening.